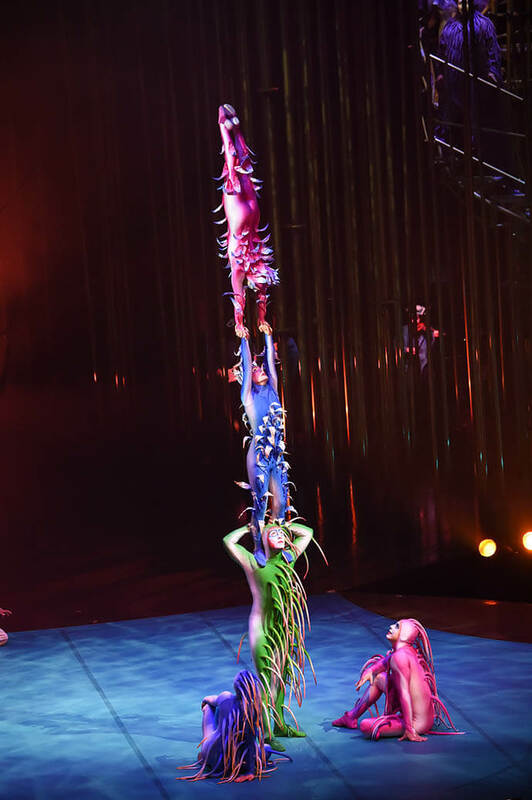 I’m not easily rendered speechless, but Friday’s Cirque Du Soleil performance of ‘Varekai’ at Sheffield Arena warranted stunned silence throughout. 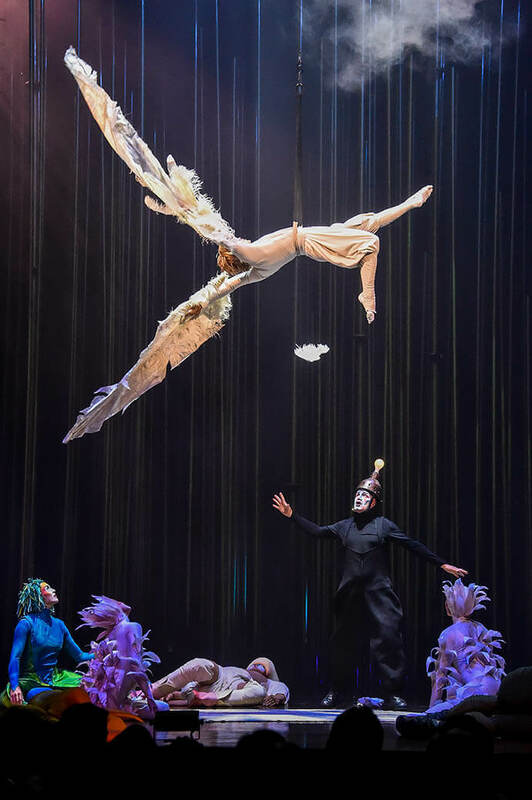 A story re-imagining the aftermath of the Greek myth of Icarus, ‘Varekai’ sees the fallen angel land in a lush forest of mysterious creatures. 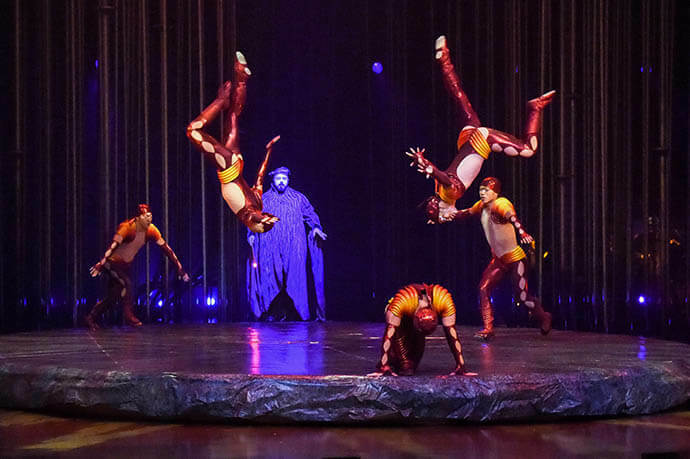 What unfolds is an utterly captivating performance of acrobatics, stunts, dancing and drama. 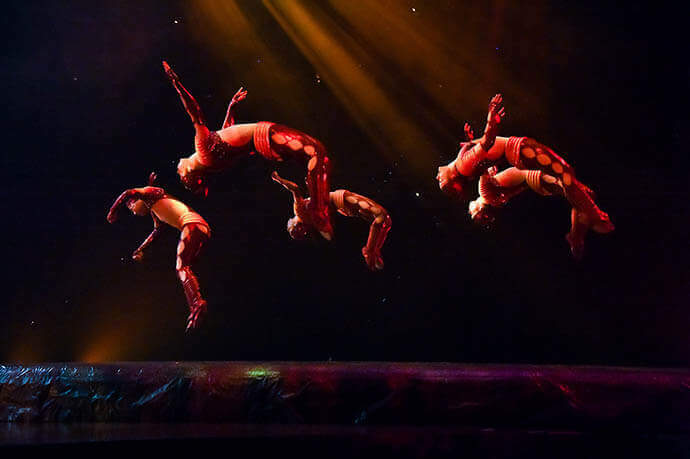 From the initial fall of Icarus in an aerial net to a sequence of synchronised tumbling, hand balances and trapeze work – throughout the whole show you literally don’t know where to look. 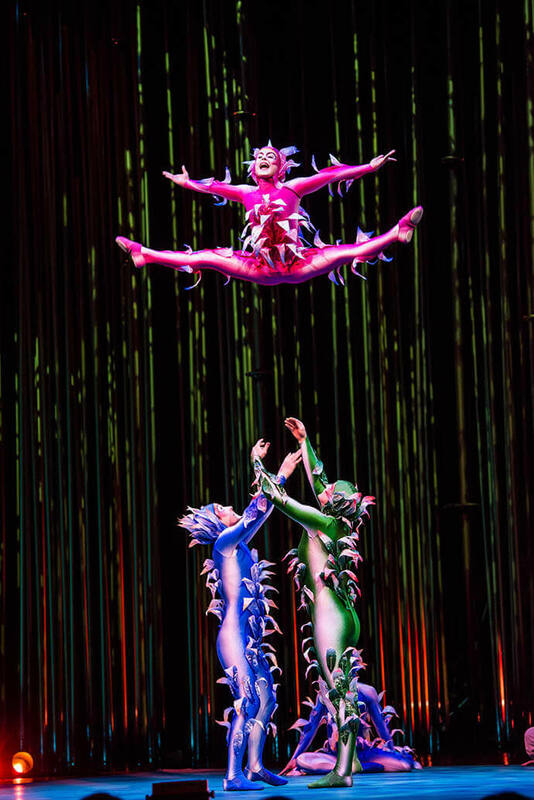 Artists fly through the air, whilst others beneath lift and contort their bodies into what should be near-impossible for the human form to achieve. With such an extraordinary display of strength and agility, it wasn’t even until around ten minutes in that I noticed the music was being played live, complete with the voices of two phenomenal singers. 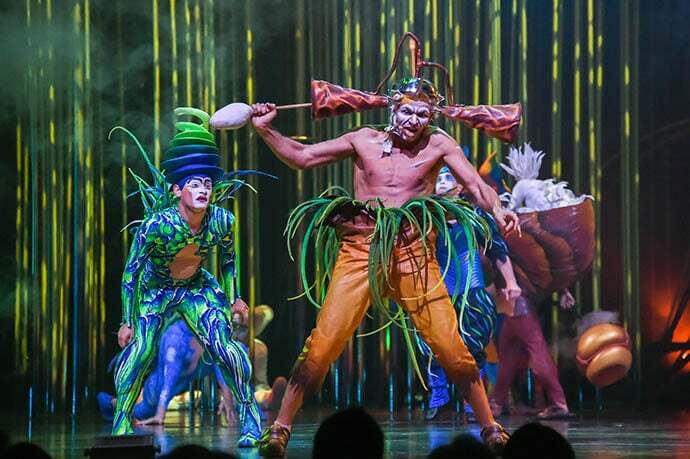 Add to this the stunning set design comprising of trees, trap doors, swings and moving platforms (not to mention the fabulously flamboyant costumes) and what you get is a truly mesmerising spectacle.